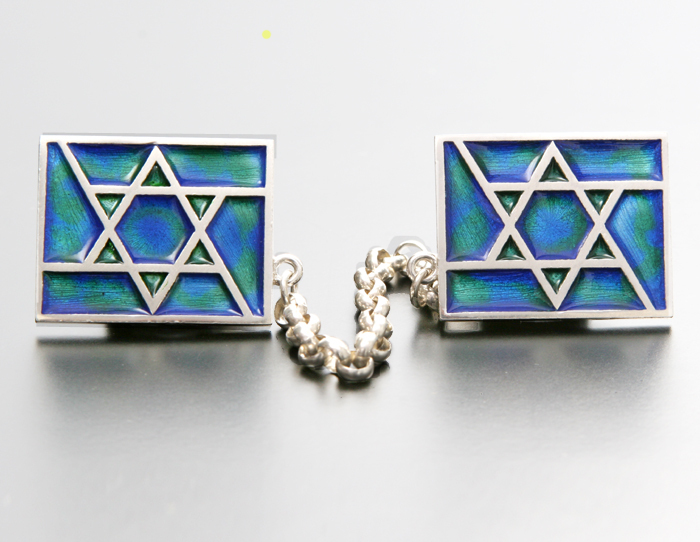 Sterling Silver based Talit Clips with blue shades of enamel creating the Magen David pattern. Set of two rectangular Sterling Silver clips that hold the sides of a man's talit closed during prayer. This elegant set has a Star of David motif in enamel. Idit Israeli Jewelry is made by hand by Jewish Artisans from 925 Sterling Silver.